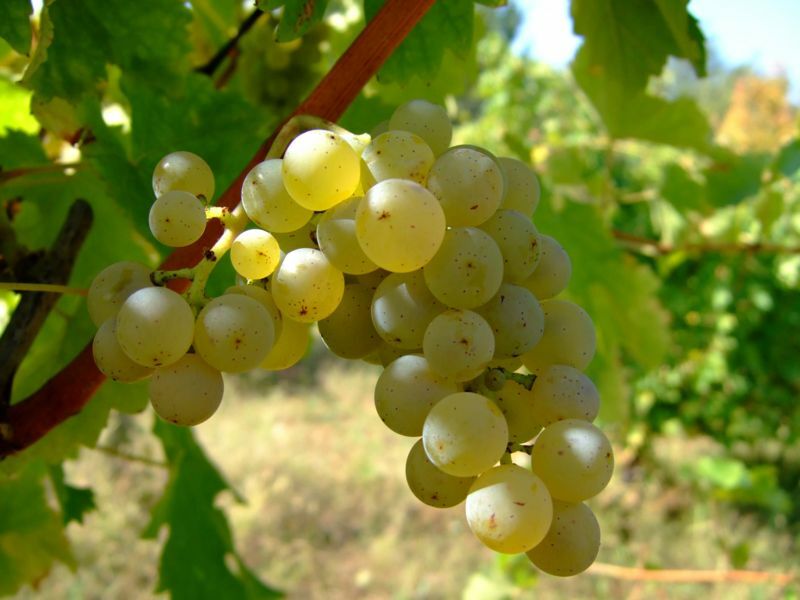 The Sauvignon Blanc grape can produce wines with various characteristics depending on the soil in which it is planted. Photo from Wikipedia. GO into any restaurant that has a few wines available by the glass and chances are your white wine choices will be a Chardonnay or a Pinot Grigio. If restaurant wines-by-the-glass provide most of your exposure to different wines, a beautiful grape is most likely off your radar: Sauvignon Blanc. Oh, the slighted Sauvignon Blanc. It can’t get no satisfaction. But why not? Because Sauvignon Blanc is a wily little weasel, refusing to be slotted into any one single box: fruity or mineral (http://www.vevlynspen.com/2011/03/sardinian-vulcan-wines-born-of-happy.html), sweet or dry, uncomplicated or superbly elegant, it can be any one of these things. Try putting that as a generic wine on the menu, and watch the customers squirm. As varied and as variable as they can be, Sauvignon Blancs do have a common thread, an identifiable core taste, with particular flavors (notes) infused throughout. 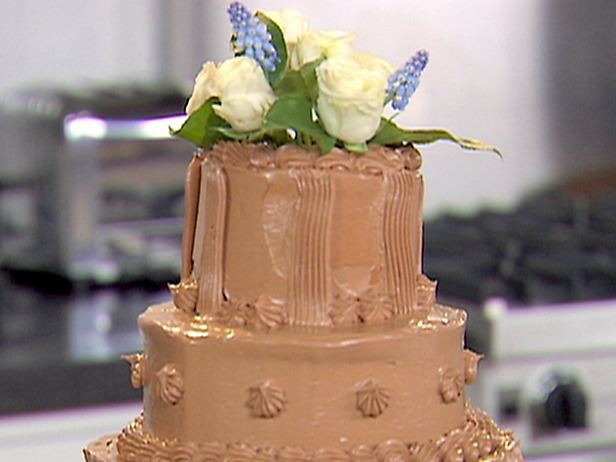 Think of it this way: There’s no mistaking chocolate cake for carrot cake or red velvet cake. Chocolate cake is chocolate cake. But there are also dazzling varieties of chocolate cake: double-fudge chocolate, Sachertorte, raspberry-filled, German chocolate … The permutations and possibilities are endless. All the same, nip just one bite of any one of those cakes and the basic fact jumps out: chocolate cake. The variety is in the details. Lovely details, but details all the same. Such is the case with Sauvignon Blanc. There’s no mistaking Sauvignon Blanc for anything else, but it does come in a fascinating array of styles. [15 minutes later] Sorry for that break. I got hungry. Slipped out for a piece of chocolate cake and tea. Now as I was saying, Sauvignon Blanc is the chocolate cake of wine: there are many different ways to express the core grape, but a core grape there is. Used to drinking Chardonnays? Chances are that Sauvignon Blanc will seem less sweet and less fruity (drier), and even a bit more like salad (herbal, vegetal). A subtler wine, it may leave you pondering, “What was that? What am I tasting?,” but pleasantly so. Like chocolate cake – here a tiered chocolate buttercream cake – Sauvignon Blanc has many variations. Photo from Food Network. Used to drinking Pinot Grigio? Sauvignon Blanc will seem a bit richer (more robust, heartier, fuller). The snap, the tartness will be there (crisp, acidic), but a touch more intense. Take a glass of Pinot Grigio and imagine either a quick swirl of a green pepper slice (vegetal) or perhaps a few drops of grapefruit juice, and that’s the sense of the possibilities of Sauvignon Blanc. In short, Sauvignon Blanc tends to be on the drier side of most white wines, more reminiscent of vegetables than fruit (without eliminating fruit altogether), and with a nice full flavor. Its aroma is always intense, ranging often from floral to fruity or even, frankly, stinky (pungent), but don’t let the nose turn you off. The wines can be rather beautiful. How is it that Sauvignon Blanc can express so many different characteristics? Let’s go back to the beginning. From the French, Sauvignon Blanc derives from the following three words: sauvage = savage, vigne = wine, blanc= white. Sauvignon Blanc is truly a savage white wine, but readily tamed by a team of farmers and winemakers. Plant Sauvignon Blanc in chalky-flinty soil, and a smoky, wonderful taste results. Plant it in clay-based soil (marl), and a fruity, rather citrus taste comes out. Ferment it at a slightly cooler temperature, more fruity notes develop. Ferment it at a slightly warmer temperature, more vegetal tones emerge. Keep the grapes on the vine a little longer, a more concentrated sweet and fruity flavor unfolds, perfect for dessert wines. Pluck the grapes off the vine as soon as possible, a more vegetal, even grassy note appears, producing a bone-dry wine. Age it in oak, a milder tastes evolves (smooth, possibly buttery). Keep it in steel, its sharpness (acidic, tart, crisp) remains. With so many possibilities, how can one choose? Don’t think so much about it. Take the plunge. Just try a few. Find what you like – mineral, vegetal, fruity, or all of the above – and drink it. It’s really as simple as that. Matanzas Creek Winery 2009 Sauvignon Blanc Helena Bench has lots of grapefruit and a little pineapple. Photo from Matanzas Creek Winery. Oyster Bay Sauvignon Blanc Marlborough 2010 pairs well with seafood. Photo from Oyster Bay Wines. Mulderbosch Vineyards Sauvignon Blanc 2009 has a complex aroma, including various fruity notes. Photo from Mulderbosch Sauvignon. Mulderbosch’s complexity in aroma is matched by the complexity in the mouth. Reminiscent of melon with a hint of a tropical fruit and just enough of that flinty earthiness to let you know in advance that this is indeed a Sauvignon Blanc, the first taste of fruit becomes surprisingly even fuller. A touch of mineral then rounds out the flavor (middle finish), never distracting from it, falling away leaving a lovely aftertaste (long finish). Be careful though – this wine is so good that it could make one an alcoholic. Available at many wine stores and online from wine.com.